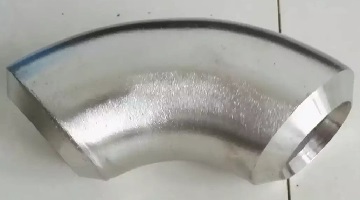 Inconel 600 elbow, 2″ SCH160, 90° L/R, supplied to Vale Fertilizantes, Brazil. Metals-Piping recently supplied 8 pieces of heavy-wall Inconel 600 elbows to a subcontractor from Brazil. These elbows will be used for the pipeline connecting the reactor and heat exchanger in a fertilizer plant(Vale Fertilizantes, Minas Gerais, Brazil). Specifications: 2″ 90° seamless elbows, L/R SCH160, ASME B16.9 & ASTM B366 UNS N06600.